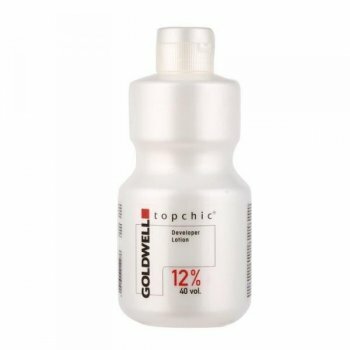 Goldwell Topchic Lotion, 12% 40 Vol 1 Litre, is for use with Topchic tubes and cans. Tone-on-tone colouring on the same base shade level adding darker accents into highlights for extra fashion effects. Available in 4 strengths.